Rubber Mask Grease or RMG makeup is made especially for use on foam latex or slush cast rubber latex masks. It’s perfect for fake wounds, rubber bald caps, or any other latex masks or appliances. 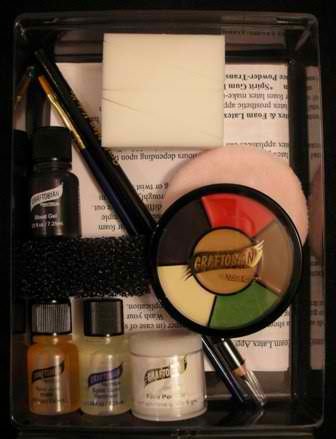 Our RMG makeup is highly pigmented and has great coverage over a wide variety of skin and fake skin surfaces. This teal makeup is also a match for what is provided in our “Andorian” Style Character Kit. RMG contains castor oil, which coats appliances and the surrounding skin with sufficient oils to allow the latex piece to be blended into your skin easily and appear natural instead of chalky. 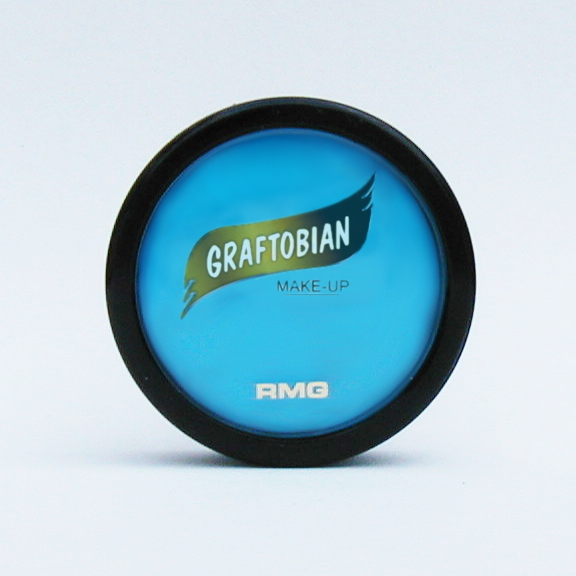 All of our Rubber Mask Grease (RMG) products are from Graftobian and are the ultimate make-up to use over foam latex and slush latex appliances.